SUNDAY SCHOOL is a place for kids of all ages to learn about the Bible and Jesus Christ. They can learn great Bible Stories about Christians who really lived ! They will enjoy lessons like David And Goliath, Daniel In The Lions Den, The Miracles of Jesus and more ! This class will challenge them to see how Jesus worked in the lives of people long ago and how He can still work in their lives today ! 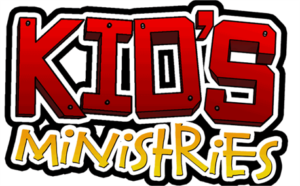 Kids – Be sure to join us every SUNDAY at 10:00 AM ! …Begins at 11 AM. Kids from the age of 5 through 12 enjoy the teachings of the Bible made plain and understandable–and usable for kids ! Special songs, exciting activities, and programs make Children’s Church the ideal place for a kid to be when Mom and Dad are in the Main Services. An exciting program for kids ages 6 through 18 once a month on Sundays, from 10 AM to 12:30PM. Challenging Activities, Great Bible Stories, Teamwork for the Lord, Special Snacks, Games, Songs, Programs, and Lots More !! WEDNESDAY KID’S CLUB is a place for kids (From First Grade to Age 12) to grow in their understanding of Jesus and how He wants them to live. Some of the topics covered are: Honoring Your Parents, Loving Your Enemies, Getting Along With Sisters & Brothers and Overcoming Problems. It is a fun time of Bible study, crafts, games, and other events focused on helping children grow closer to the Lord ! Kids – Join Us Every Wednesday from 7PM – 8PM !